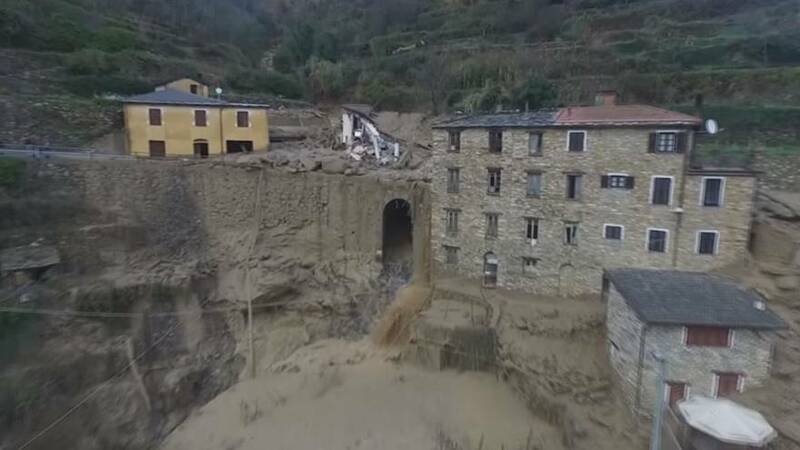 Drone footage released on Sunday (November 27) shows the extent of the devastation caused by severe flooding and landslides in parts of Italy’s Liguria region. In Rezzo, a small village in Liguria, a landslide caused by the heavy rains destroyed houses, which collapsed under the pressure of a stream of mud and rubble. Hundreds of people have been displaced in northwest Italy after days of torrential rain caused severe flooding and landslides in a number of towns, especially in the regions of Liguria and Piedmont.